Is Free Market Economic Theory Guilty in the Global Financial Crisis or Not? While estimating existing financial crisis in the world, famous financier George Soros calls on the governments to understand that the markets can’t regulate themselves and it is necessary to increase the state regulation. The former leader of USA’s Federal Bank, Alan Greenspen considers that “Disorder of Bank’s Self-Regulation principle is impossible. Market must be survived still by the rule of self-regulation and it is not necessary from the government to receive additional regulative measures”. By the way, a big depression began with the exchange crisis and it became catastrophe because the president of the USA wanted to interfere and regulate this situation. This ended with a catastrophe then, but now? Economic view is changing radically in the world and as a rule, it usually happens during the big and serious crisis. For example, before the 70s, John Kanes’s approach to the economic management was very popular in the world. It supported management regulation of economic processes from the side of state. After 70s, when regulatory conception was considered as a non-effective, free markets theory became popular and massive privatization of state property began in Europe. The leaders and experts of the World Bank, Monetary Fund and other International Financial Institutes always prefer Free Market, in their recommendations privatization of state property and facilitation of markets’ regulation were directly indicated. Similar recommendations were not strange for Georgia too. But what is happening now? Maybe it’s a new phenomenon and modern market is free, but is it still regulating? Maybe it’s nonsense, but it’s like this, now we can call the world economy and of course the market of Georgia as a “Free-Regulating Market”. Financial crisis existing in the whole world pushed the governments to increase their duties and responsibilities. Processes are developed in such a way, that the state still becomes an important player on the financial markets – the asset of Europe’s several largest financial companies were bought by the state, this is also foreseen by the USA’s 700 billion plan. So the state actively interferes in the financial market and still directs to the rule of regulation. This already has a massive character, which changes the picture of the world economy. If the state departments manage to survive financial institutions in this way and the bank crisis is surmounted, then it is logical, that regulating economic theory will become still popular in the world economy. But if the bank crisis is not avoided, maybe more compromise version will win, because neither free economic theory has remained its popularity. Fundamental elucidation of these issues is very important for such a developing country as Georgia. During the last 15 years Georgia is trying to build market economy and besides similar to the west and also it is trying to create regulating service. Moreover, Georgian government made an unprecedented decision and appointed Robert Kristiansen – a former representative of the International Monetary Fund and the citizen of foreign country – for the position of chairman of the Financial Supervision Council. According to the new legislation, Financial Supervision Agency is responsible to give licenses for the commercial banks and other participants of financial sector. After receiving the license, every company is under submission of the Financial Supervision Agency’s Monitoring. During the monitoring process financial companies are obliged to maintain all the rules and demands established by the Agency. One more novelty, which will be soon inculcated in Georgian Banking System, is the transition to the management scheme of “Bazel II”. From 2009 European Banks have to move to the new system of risk management, which’s demands are formed in the agreement of “Bazel II”. “Bazel II”, which represents the recommendations of banking Supervision’s Bazel committee, was published in June 2004 and after that many countries began to move its own banking supervision regulation to these new principles. The aim of Bazel Committee is to realize the supervision of banking sector; its main task is to make closer banking legislation of the countries in order to make easier for different countries to cooperate to each other. “Bazel II” contains modern and improved approaches as in financial also in regulating and Supervision sphere. According to the Financial Stability Institute, until 2015 nearly 95 state regulator will accomplish the recommendations of “Bazel II”. According to the estimation of experts, existing “Bazel II” in comparison with “Bazel I” is more profitable system for the supervision and management of the banking sphere, moreover in the conditions of modern global financial crisis and danger. According to the National Bank, transition of Georgia’s banking system to “Bazel II”, which will be accomplished by 2011, is necessary for the improvement and stability of management of banking system. Besides, according to the International standards of foreign sector’s statistics with the aim of registration, from January of 2009 National Bank is planning to inculcate ITRS – the system of gethering information. The mentioned system means to gether data in the section of taxation balance operations with the help of banking system. Connected to the above mentioned issues, the meeting was held in the National Bank of Georgia, where Davit Amaglobeli – the president’s obligation executor of the National bank of Georgia, leader of several structural unit of National Bank, Natalia Ivanik – regional adviser of International Monetary Fund (Georgia, Azerbaijan, Uzbekistan) and representatives of the Commercial Banks took part. On the meeting the advantages of ITRS system’s usage and technical issues of its insculcation were discussed. They decided to create a working group in the National Bank with participating of representatives of Commercial Banks. The main task of working group is to discuss and improve the design of statical information gathering system worked out by the National Bank, in order to foresee the demands of Commercial Banks as for data also from the technical characteristics point of view. Working of this group will last for 4 weeks. The first one-week experimental research with new system is planned to carry out in July. However, before we continue speaking about Banking System of Georgia, let’s review shortly current processes in the world. Banking crisis has covered several segments of financial markets in the United States. Banking crisis had an influence mostly on the monetary market. Percentage rate of LIBOR (Percentage rate shown in dollars on inter-bank credit) and EURLIBOR (percentage rate shown in Euro on inter-bank credit) has greatly increased. Differences between Federal Banking Basis Percentage Rate of the USA and LIBOR reached the highest symbol -160 point – after 2001. This was a signal that there is a starvation of credit resources in the world and banks are trying to protect themselves from worsening liquid. This was proved on the credit auction held by the European Central Bank where demand of Commercial Banks was 150 billion Euros on the financial resources and only 50 billion was offered. Credit Default Swap rate fell, (agreement, when in the case of Default credit obligation moves from one person to another) because demand on it greatly decreased for high credit risks. Federal Bank is going to reduce again basic percentage rate of the country to guarantee cheap credit distribution for the banks. Today the percentage rate is 2% and supposedly it will still reduce. Maybe assignation of 700 billion dollars resources will be proved. Banking crisis of the USA acquired the face of the world banking crisis. On the summit held on October 14-15, the leaders of the 27 member states of EU supported to hold International Summit on the issue of the world crisis. Jose Manuel Barroso, the chairman of the European Commission declared that all the leading countries must be represented on this summit – not only EU and USA, because current crisis has touched all states of the world. 9 persons will be the members of the working group, who will study the problems standing before the EU and the ways to solve them. The leader of the Commission will be Philip Gonsales – a former Prime Minister of Spain. This idea was divulged by Nicolas Sarkozy – the president of France: “So- called Wise Council must create the plan of future development of Europe, which is experiencing ideological crisis at the moment. It’s already time to receive a new “Breton-Woods”. Nearly every member country of EU, besides common measures, is carrying out its own financial helping program to save economy. FORTIS, the largest financial company of Belgium, had the problems of liquid after its shares fell by 35%. The governments of Belgium, Netherlands and Luxemburg assigned 11.2 billion Euros to save the company from Bankrupt. Though, it is only the beginning, because the problems were also created for “DEXIA SA” – the second largest credit company – which’s stock was depreciated by 30%. In order to save it, the government of Belgium assigned 6.4 billion Euros. Great Britain will assign 500 billion pound sterling to support economy. The government of Great Britain also had to save Bradford & Bingley Plc Bank and in Germany financial problems were created for Hypo Real Estate Holding AG – the company working in the estate sector. Besides, the government of Germany will soon assert the plan about saving country’s economy. According to it financial sector of Germany should receive 470 billion Euros, from where 70 billion euros will be spent for liquid improvement as in State also in Private Banks, and 400 billion euros will be assigned for state investment. But the government of Iceland had to make nationalization of all banks. There is an absolute collapse in Russia. Here the loss of common market cost was 74% and according to BBC 25 Russian oligarchs lost 200 billion dollars, among them only Derpaska lost 17 billion and Abramovich – 20 billion. It is said that Putin has also been damaged greatly. Supposedly Russian business elite can’t forgive this fact to Putin, because finally country lost more then 400 billion. Maybe all these facts will become the base of financial-political disorganization of Russia to the concrete stage. Current war in Ingushetia proves this fact. According to the experts Russia has no chance to go out from this collapse yet. Deep global financial crisis has a direct influence on the countries of Eastern Europe, Caucasus and Soviet Union. Georgia in not an exception in this chain, moreover developed events of August in our country are added to the global financial crisis. What is happening in Banking System of Georgia? · HSBC – Georgia is the 85th country, where HSBC – one of the most powerful and oldest bank of England opens its representation. HSBC has nearly 10000 branches in the countries of Europe, Asia-Pacific Ocean Pond, America, Near East and Africa. According to the data of June 2008 bank possesses 2,547 billion USD capital. And what about Georgia? – Bank started functioning in summer 2008 with 23,9 million GEL capital. 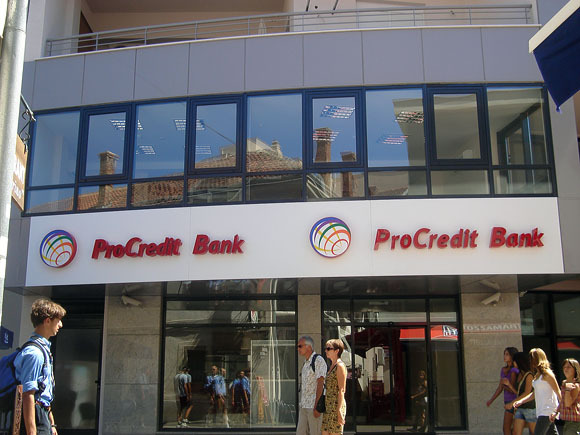 Besides foreign experiance and service quality, bank also offers all existing services to the Georgian cusomers, as for phisical aslo for commercial person. 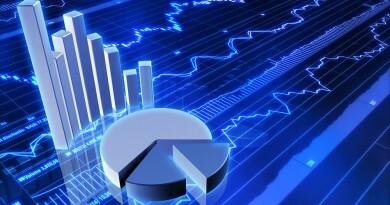 Percentage Rate is established by HSBC according to the existing conditions and demands on the financial market of Georgia. The main things that HSBC offers to its customers are the high quality of confidence, guarantee of protection and availability on the International Banking System. · Khalyk Bank Georgia – which will start its functioning soon is the 22th commercial bank in Georgia. The owner of the bank is “Khalyk Bank” – one of the biggest Kazakhstan’s bank. It was founded in 1923 as a reserving bank, then it was functioning as a branch of Soviet Union’s reserving bank in Kazakhstan. After the Soviet Union its reorganization was held and it became reserving bank of Kazakhstan. In 1996-2001 privatization of bank was made. According to the asset it is the third bank of Kazahkstan and has its representations in Moscow, Beijing and London. And what about other banks? The leaders of the banking sector of Georgia are three: “Bank of Georgia, “TBC Bank” and “Bank Republic”. After the events in August banking system of Georgia found out in a difficult situation. Before the war between Russia-Georgia asset of bank capital came basiclly to the estate and hipotecal credit. A great part of attrected source composed deposits of the population and arrived money from the west. Besides Russian and Kazakhstan capital had a basic place in the bank sphere. As a Russian also a big part of Kazakh asset left Georgia after the war in August, this was followed by carrying out a great deal of population deposits by the physical persons. After the war according to the data of August, population and juridical persons carried out 400 million GEL from the commercial banks and the asset of commercial banks reduced by 700 million GEL in August. In September deposits of physical persons decreased by 2 million GEL. In 2008 from January till September bank sector demaged totally by 37 million GEL. This loss was caused by money transfering in the loan possible loss reserve, though this doesn’t mean directly money loss and as soon as credit returns reserved money will return to the bank. As we can see deposits were reduced mostly in the banks. If before the war physical persons kept 1.8 billion GEL in the banks, after the war this figure reduced to 1.5 billion. The next great loss was experienced in the credit investment, which is natural, because during this period of time loan covering was going on, but lending had been stopped. Wholly credit investment reduced nearly by150 million GEL. Let’s return to the deposit sum, as we have already mentioned, the whole deposit was reduced by more than 400 million GEL, from there 300 million is the result of deposit reduction of physical persons, but borrowed money, which represents attracted money from financial companies and foreign banks, is hardly reduced. The rest of 100 million is the result of deposit reduction of juridical persons. It’s seen in the tables how much was reduced the asset as for the Bank of Georgia, also for “TBC Bank”, which had hardly overstepped 2 billion level for several months and after the war it fell from this level again. In spite of the fact that 700 million has left the bank sector, the problems of bank liquid were not brought to light as it happened in the USA. Experts explain this fact as if the banks themselves were ready quite effectively: there were not problems of money deficiency in the cashbox; current asset ratio with current obligations was on the satisfactory level; National Bank was ready to lend money to other banks if any serious problem arises. It really happened so, National Bank lent money to some commercial banks, but it was not on the widest scale. Besides for helping Georgia billion of foreign currency is entering, which means that this money will reach the place of destination with the help of banks. Of course, this fact will create money resources for the banks and remove the liquid problem temporarily. On October 22 on the Donor International Conference, donors assigned 4.5 billion dollars for Georgia. Besides Georgian National Bank and European Bank also OPIC – International private investment corporation has helped bank crisis, which wholly has assigned 80 million USD for bank system of Georgia. Robert Mosbakher – president and chief executive person of OPIC was in Tbilisi with tarding delegation of USA. This delegation visited Georiga on October 25-28 under the leadership of John Salivan – the chairman of USA’s Economic Secretary. On the Business summit seven new projects of OPIC were officially declared, that foresee assignation of 176 million USD for Georgia. The new project of OPIC contains 4 sectors in Georgia – Finances, Construction, Tourism and Industry. On the ceremony held on forum, Mosbakher signed contracts connected to several projects. Among them there were the contracts about assigned money for Georgia’s largest banks – “TBC Bank” and “Bank of Georgia”: OPIC will give 40 million USD to “TBC Bank”. In this way the bank will have possibility to increse giving the hypothec loan for house construction. This money will be basically used for low and everage income hipothec loans. According to the announcement of “TBC Bank “: “including this transaction, during 2008 financial resources of 250 million USD has already been attracted from foreign financial Institutes by “TBC Bank”. A new credit line will give opportunity for “TBC Bank” to strengthen financing as for physical, also for corporative clients”. “Bank of Georgia” will aslo receive 40 million credit line from “OPIC”, aslo for hypothec loans. This will happen together with “World Business Capital”, which is the creditor of USA’s minor business.